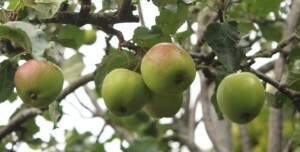 For any people new to the village, you may not know that the fruit on the trees in the Orchard (in front of the village hall) is for the local community to enjoy. So do go along and pick apples and plums as they ripen and please don’t let any go to waste. Enjoy! This entry was posted in Garvald Village Hall Trust on September 2, 2013 by Admin.